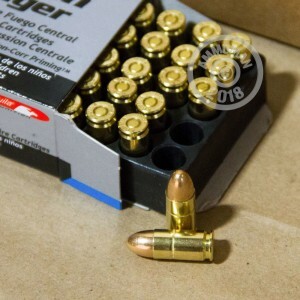 This 9mm Luger ammunition comes in an economical 1,000 round case that will save serious shooters some serious money. 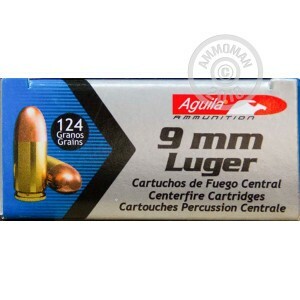 Manufactured by Industrias Tecnos, a major Mexican defense contractor, these Aguila (Eagle) brand cartridges fire a balanced weight 124 grain full metal jacket bullet that has similar ballistics to many popular carry loads. 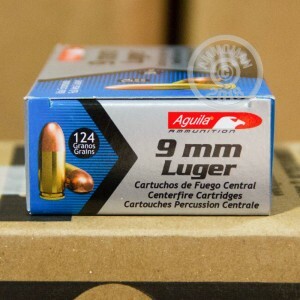 Like other Aguila ammo, these cartridges use non-corrosive Boxer primers and brass cases. 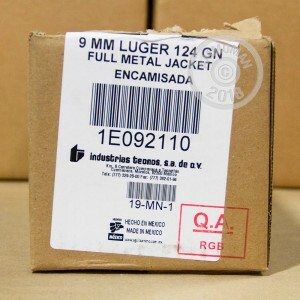 For additional savings, simply place an order for $99 or more AmmoMan.com and get free shipping!